Trondheims-feltet - gneisområdet - Jotunheims-området. Bemerkninger til Ivar Hernes's avhandling. S u m m a r y: In a recent paper in this journal by Ivar Hernes on "Connections between the Trondheim and Sunnhordland Regions, Caledonides of Norway" Mr. Hernes maintains that the Trondheim Region has its continuation in the north-western gneiss area of southern Norway, and, secondly, that the Jotunheim Region occupies a less central position in the Caledonian orogen than the Trondheim Region. There is nothing to object to this. The same views were brought forward for the first time about 20 years ago by Olaf Holtedahl and must now be said to be generally accepted. But Mr. Hernes is to blame for not duly having cited the writings of Holtedahl and subsequent writers on the same subject. 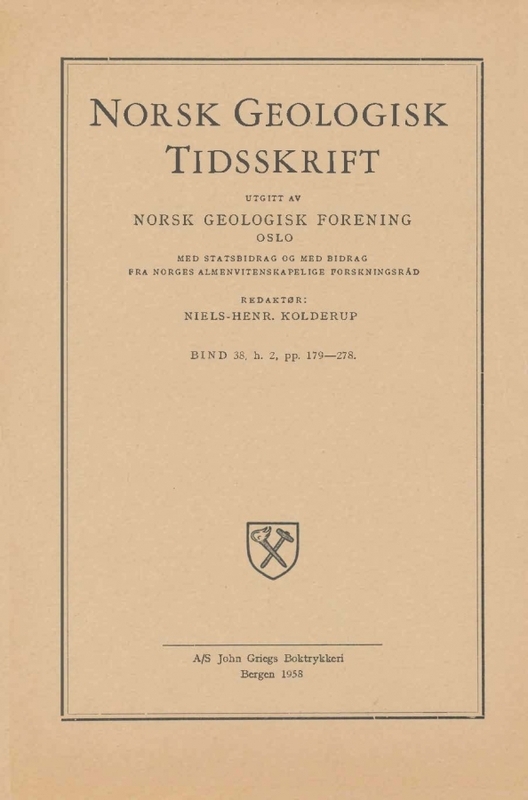 A reader not well acquainted with Norwegian geology and litterature must get the impression that the concepts mentioned above were new and invented by Mr. Hernes.